The film doesn’t belong to a specific category. It is unique. It is an inventive genuine,burlesque,quirky,dramatic and hilarious investigation about the actress’s name. 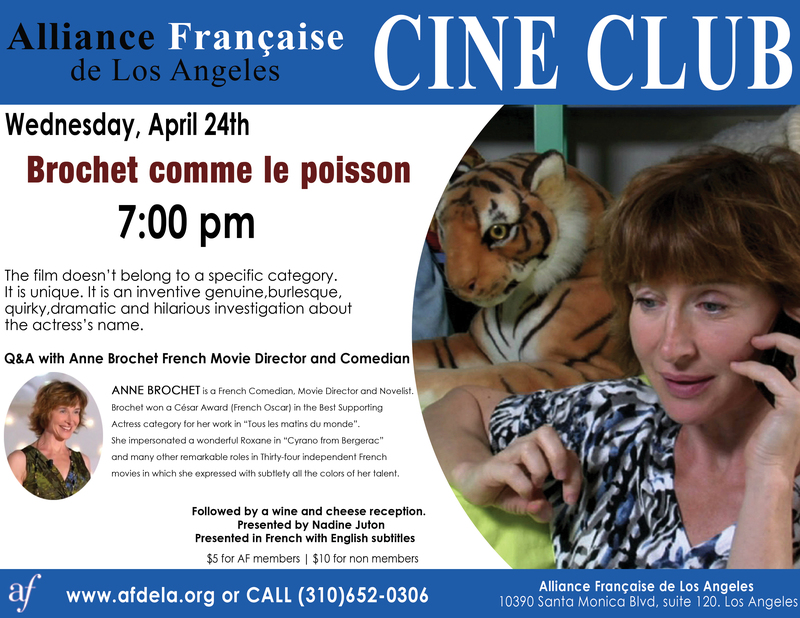 Anne Brochet is a French Comedian, Movie Director and Novelist. Brochet won a César Award (French Oscar) in the Best Supporting Actress category for her work in “Tous les matins du monde”. She impersonated a wonderful Roxane in “Cyrano from Bergerac” and many other remarkable roles in Thirty-four independent French movies in which she expressed with subtlety all the colors of her talent.